Voyaging amidst the deep blue sea with near and dear ones is a dream that almost all the travel enthusiasts see. However, very few of them can actually fulfill this dream. Therefore, Uphoria Travels, based in Guwahati (Assam, India), brings forth excellent cruise services for fulfilling the dreams of the voyagers out there. 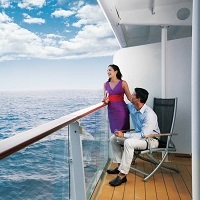 Our agents work in coordination with some of the eminent cruise companies. Therefore, they can help you in getting reservations in the best cruise ships. Before confirming your reservations, we ensure that the cruise ship is equipped with essential as well as modern amenities. Moreover, we make sure that the charges do not exceed your budget.